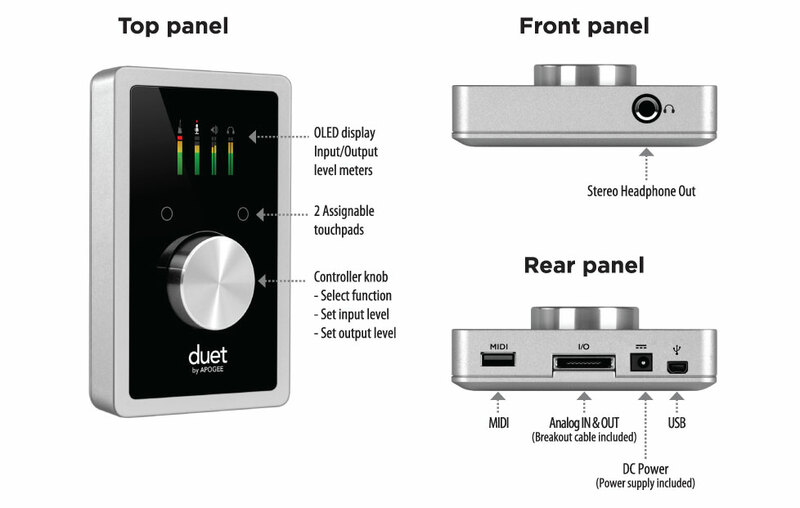 Duet provides a single USB MIDI connection for your CoreMIDI compatible keyboard, synth, or DJ controller. 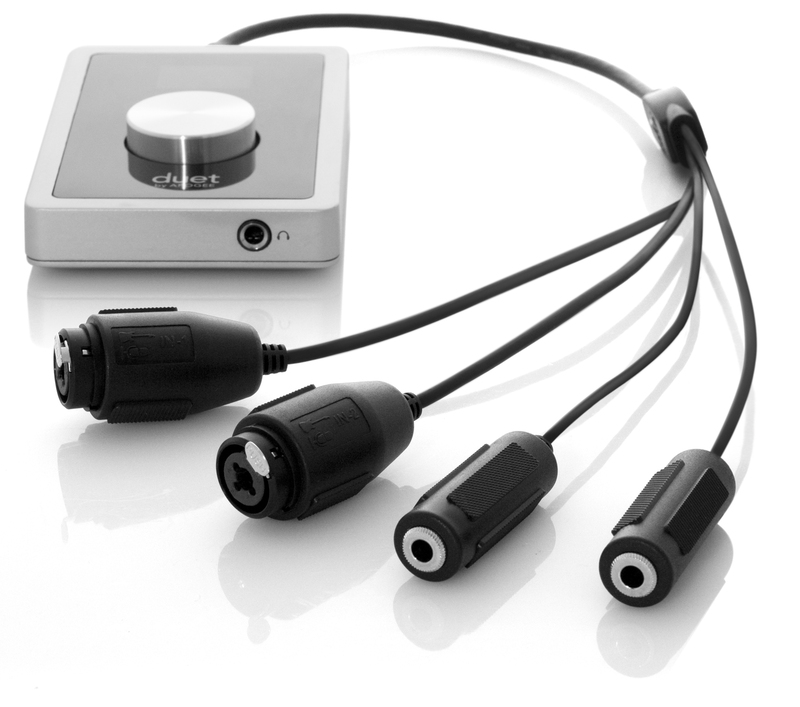 This eliminates the need for an external MIDI interface and promotes an all-in-one music creation solution where Duet and Maestro manage all audio and MIDI. 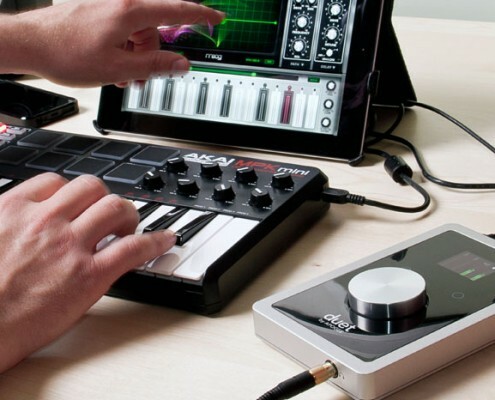 On iPad, Duet’s MIDI connection allows both Duet and a keyboard or DJ controller to be connected at the same time to the iPad’s single connector (Lightning or 30-pin). 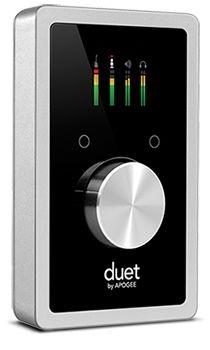 The high resolution OLED screen built into Duet’s top is the main control center for Duet, delivering visual feedback for multiple functions including metering, numeric value for input and output levels, input grouping, and phase, muting, phantom power and Soft Limit indication. With this display you know the status of any input and output at any given moment without having to refer to Maestro or your recording software. 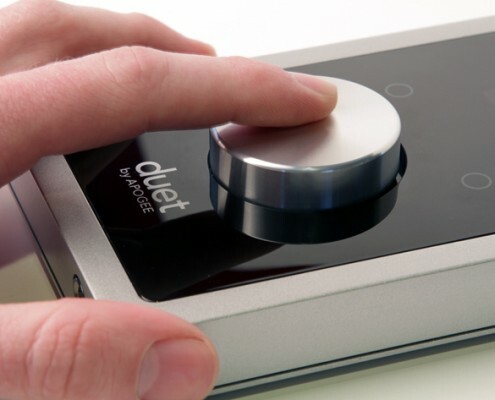 Duet also introduces configurable touchpads. 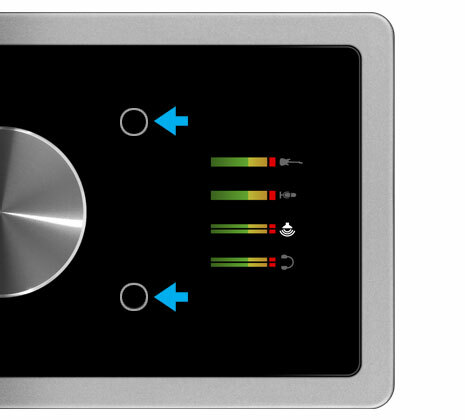 The 2 touchpads, located on either side of the encoder knob, allow you to quickly access output functions such as “Mute Outputs”, “Dim Outputs”, “Sum to Mono” or “Toggle Headphone Source”. 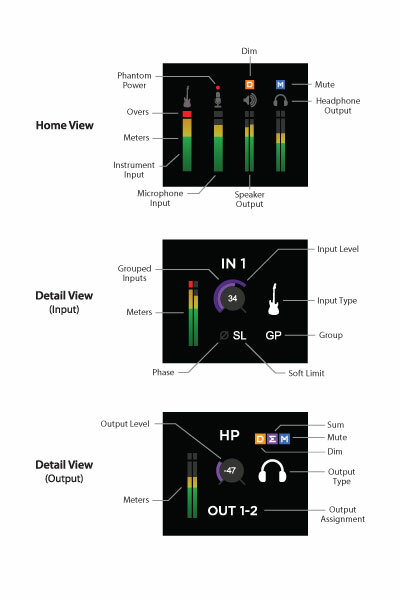 Each are assignable using a drop-down menu within Apogee’s new Maestro 2. This unique feature allows you to select the function you want and access it directly from Duet without having to look at software. 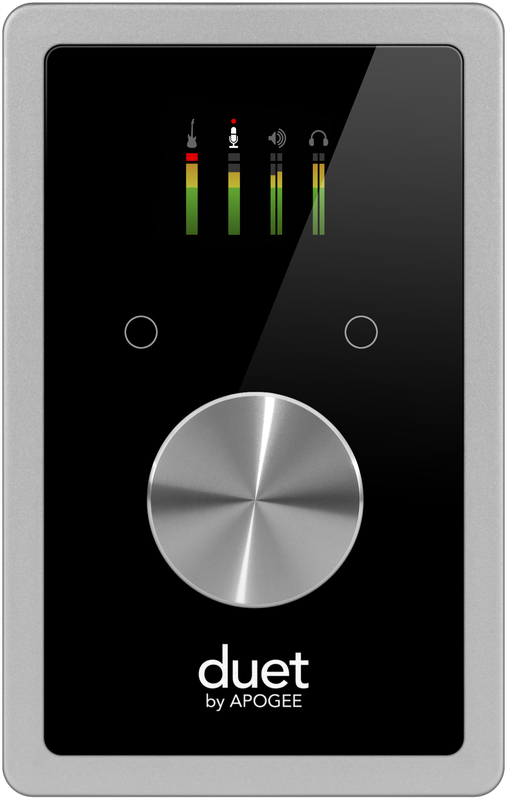 Along with its sleek aluminum chassis, the multi-function controller knob is one of the most recognizable features of Duet’s design. This central control feature allows you to quickly and easily toggle thru Duet’s inputs and outputs and set levels while looking at Duet’s dynamic OLED display.